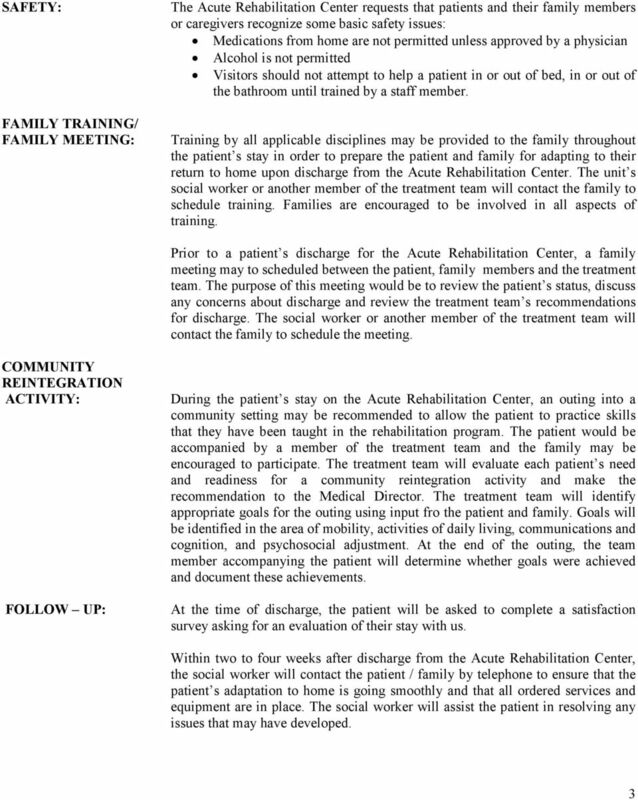 Download "ST. LUKE S ACUTE REHABILITATION CENTER PATIENT/FAMILY GUIDELINES"
Spinal Cord Injury Information Series PATIENT & FAMILY GUIDE Spinal Cord Injury Program A Service of Santa Clara Valley Medical Center Rehabilitation and 1-Center What You Should Know What is 1-Center? 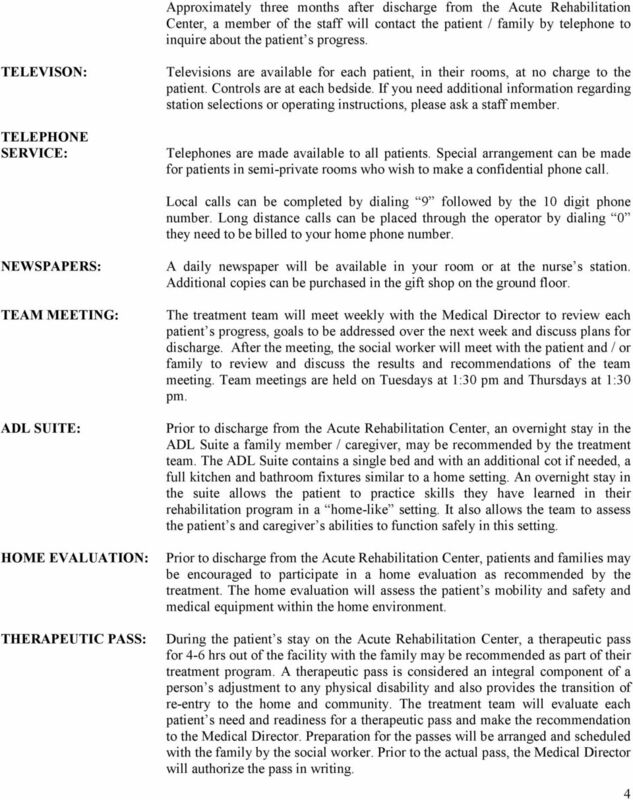 Patient Handbook Inpatient Psychiatric Program. 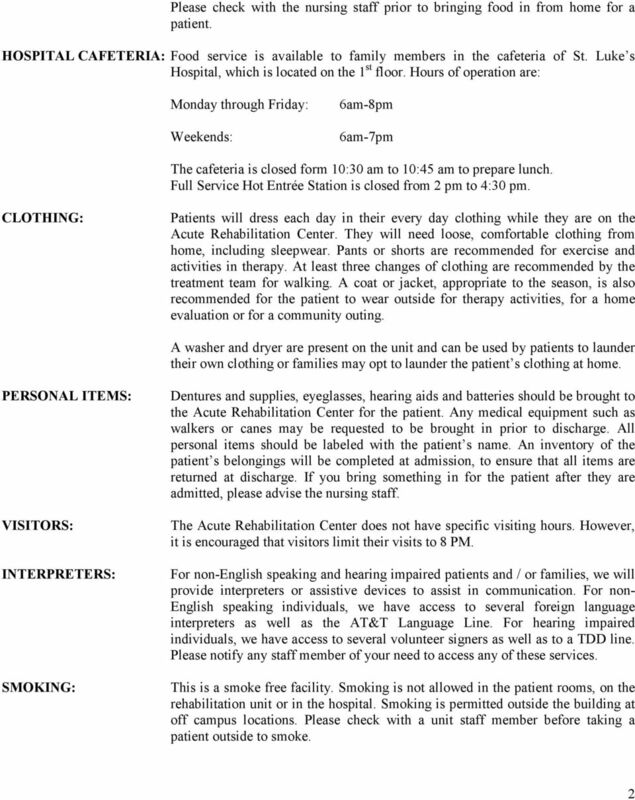 Welcome to 1 East Inpatient Psychiatric Services at Saint Joseph Mercy Hospital. The PEER RECOVERY SPECIALIST provides peer mentoring, support and education during your stay. Welcome. 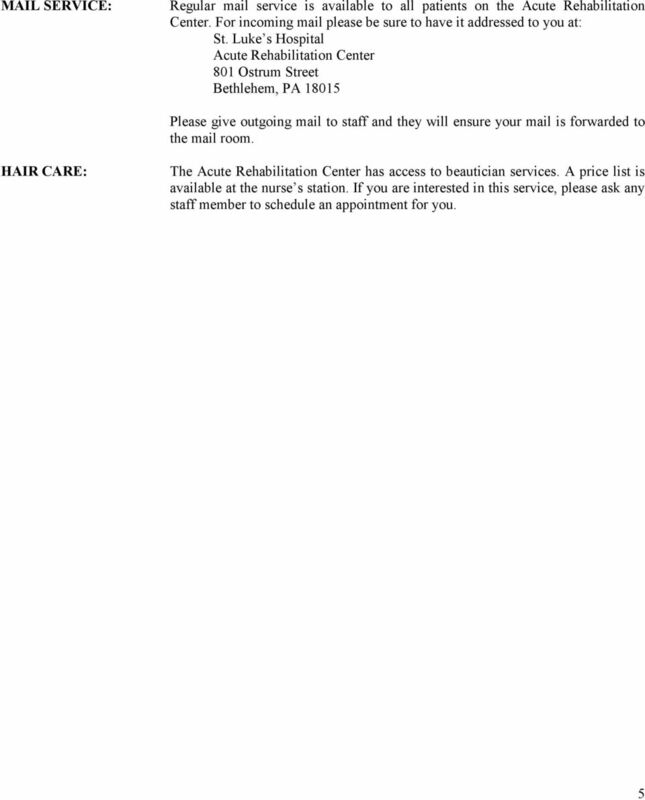 32 Mayo Drive Holden, MA 01520 508-829-4327. 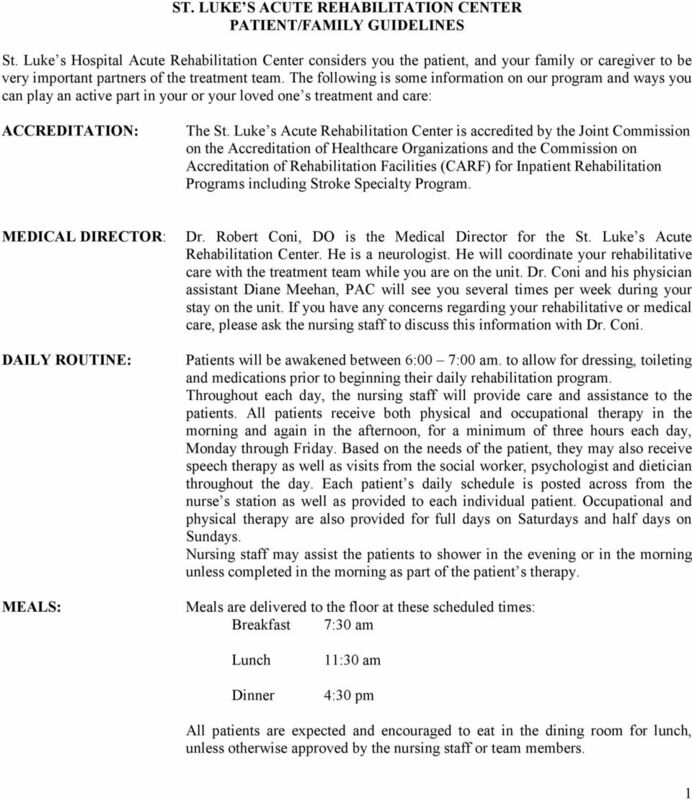 Holden Rehabilitation & Skilled Nursing Center and Wachusett Respiratory Care Unit.